Paneer Butter Masala ! Dhabha style ! 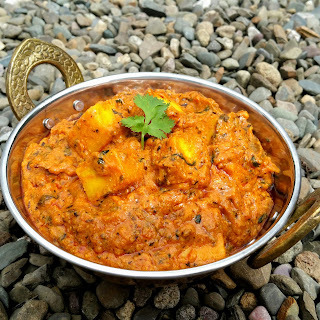 I always prefer dhabha style cooking might be for their rustic charm or for their earthy flavors.Paneer butter masala is one of utmost famous delicacies of Indian cuisines. Dhabha style Paneer Butter masala definetely stands out in comparision to the regularly made due to the addition of roasted papad,kasoori methi and crushed coriander seeds.All in All making it a show stopper for any gathering. 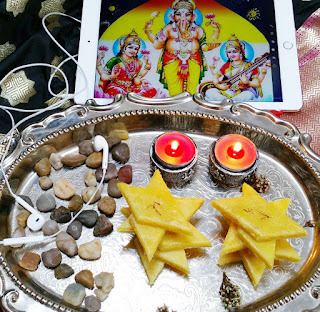 Badam katli is an exotic and easy dessert that can be made with just few ingredients. Almonds not only taste good but also are loaded with many health benefits.They aid in reducing cholestrol and also are rich in unsaturated fatty acids,filling fibre,antioxidants and plant protein too.